Daily activities focus on collecting and analysing data on the whale sharks in the South Ari MPA. We are on the water 4-5 days per week collecting data with one day for data analysis and one day of rest. Using specialised whale shark data forms and laser-photogrammetry (to measure the length of the whale shark), we document each individual encounter of whale sharks in the South Ari Marine Protected Area (MPA). Team work and coordination is very essential and rewarding. Data analysis focuses on the data collected throughout the week, encompassing the hundreds of GB of media we collect and the exciting hard science bits. To learn more about the specifics of collecting and analysing our data, download our Volunteer Information Pack. Most of our data collection takes place in the water. MWSRP encourages you to begin a daily routine of exercise before arriving. This will help you immensely from the first day on the research boat. 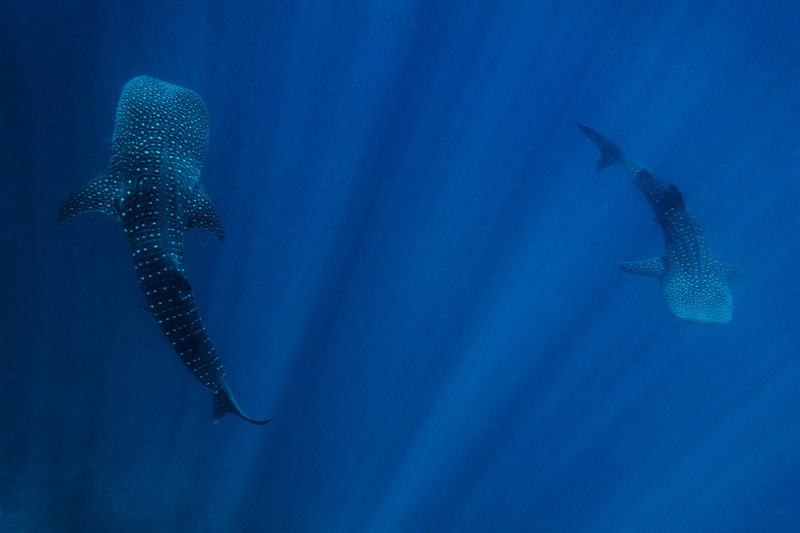 We do not use scuba to collect data or interact with whale sharks. 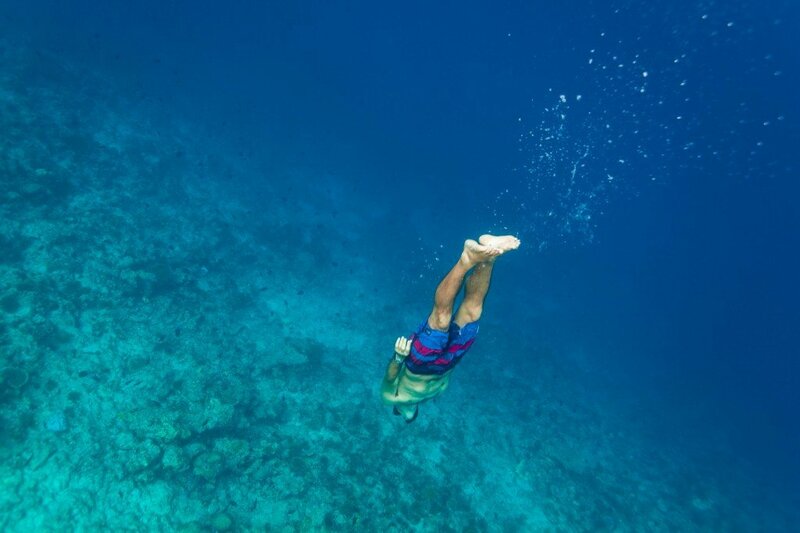 We maintain a practice of swimming and snorkeling to do this. Not to worry, there is plenty of opportunity to work on these skills while volunteering. Right out the front door is a great lagoon to swim in. As MWSRP has evolved, community engagement and participation has become an important part of the Programme. We will be facilitating a variety of community events during the course of the July – November 2014 research season. 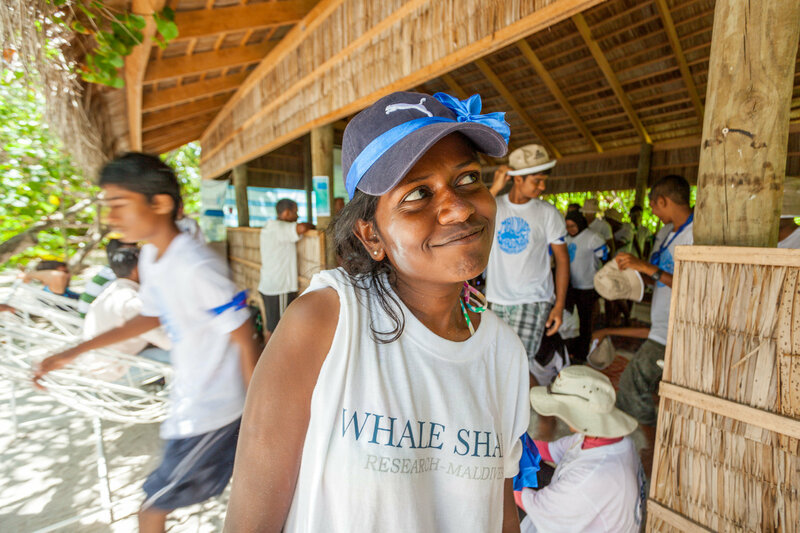 Example community projects from the previous season include snorkeling lessons on the island of Dhigurah, educational workshop and rubbish pick-up on Mandhoo, environmental awareness on Dhidhdhoo, and safety and rescue techniques on Kunburud’hoo. And of course, there is the 2nd Whale Shark Festival to look forward to! Many volunteers have offered their expertise and skills in ways that have been truly beneficial to the growth of our Programme. If you find a project or have an idea that you would like to explore, do not hesitate to share it with the in-field MWSRP staff. We will do our best to assist, encourage, and enable you. In the past, volunteer groups have also come together to give an ‘end of experience’ presentation to everyone – some have highlighted their Top 20 photographs, others have created a powerpoint presentation showcasing their favorite memories, some have written poetry, and others have created videos. Want to Talk to a Past Volunteer? You can visit us on Facebook and ask previous volunteers about their experiences or we can help put you in touch directly. Contact us and we will help connect you with previous volunteers. Please visit the Alumni Network page to read testimonials from past volunteers.